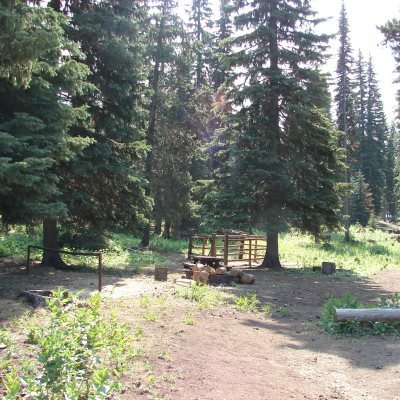 Located above Cove, Oregon the Moss Springs Campground lies on a ridgeline within view of the Eagle Cap Wilderness and is next to Moss Springs Trailhead. This popular campground was constructed to accommodate visitors with packstock, riding stock and campers bound for the Wilderness. The site also has 3 accessible campsites and toilets. Trails from the campground drop steeply into the Minam River drainage or follow Grande Ronde Ridge.